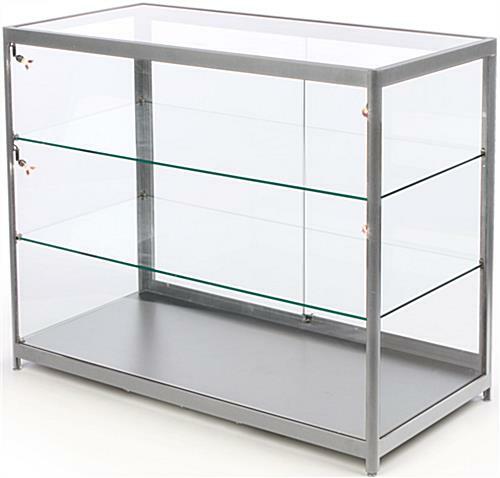 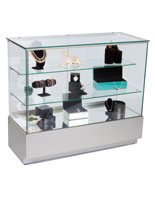 Counters & Cash Wraps to 48"
This tempered glass illuminated display case is a 38" tall full-vision cabinet with silver aluminum framing. Each stylish retail showcase includes two adjustable-height shelves and four brilliant halogen lights. 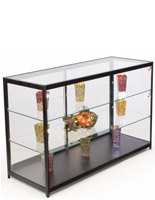 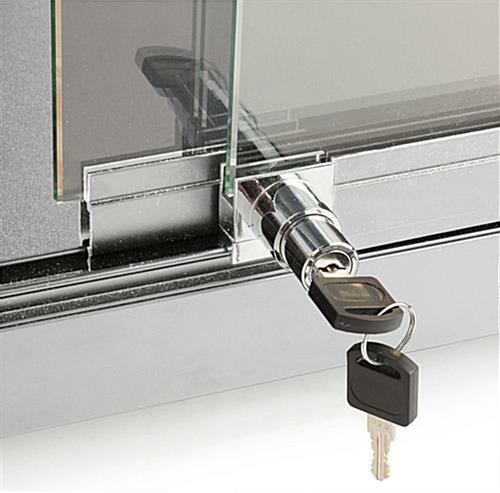 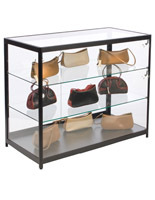 The locking glass illuminated display case is ideal for use in retail and commercial environments, as it can be used alone or as part of a modular cash wrap. 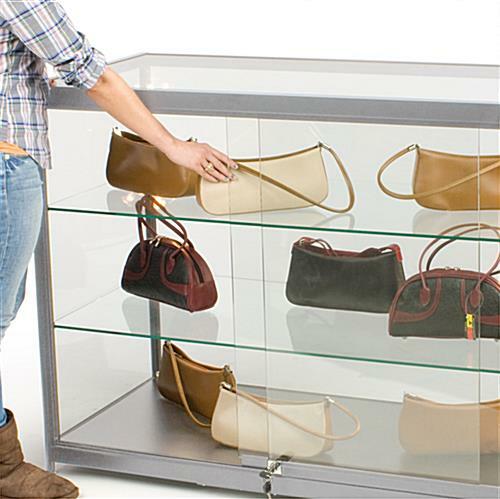 The 38" tall merchandising fixture with lockable sliding access doors is 48" wide and can function as a retail showcase as well as a checkout station. 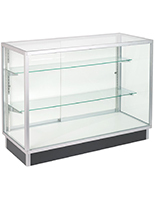 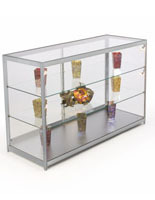 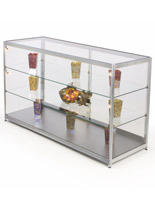 This illuminated display case's four halogen side lights are ideal for focusing attention on merchandise. 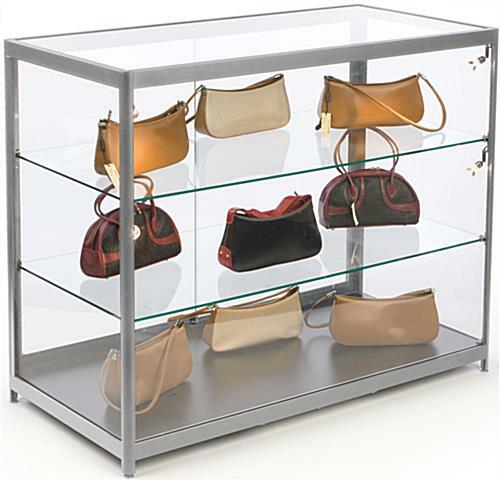 This sturdy, secure retail showcase with impact-resistant construction and neutral finish is a great choice for use in stores, galleries, lobby displays and much more.